Over the past three years, Run The Jewels have burnished their reputation as one of the fieriest live acts going. Their set at the Pitchfork Music Festival last year, for instance, was absolutely bonkers. For those who haven’t had the opportunity to catch Killer Mike and El-P do the damn thing live and in person, the duo have shared a special live show presented entirely in 360 degrees. 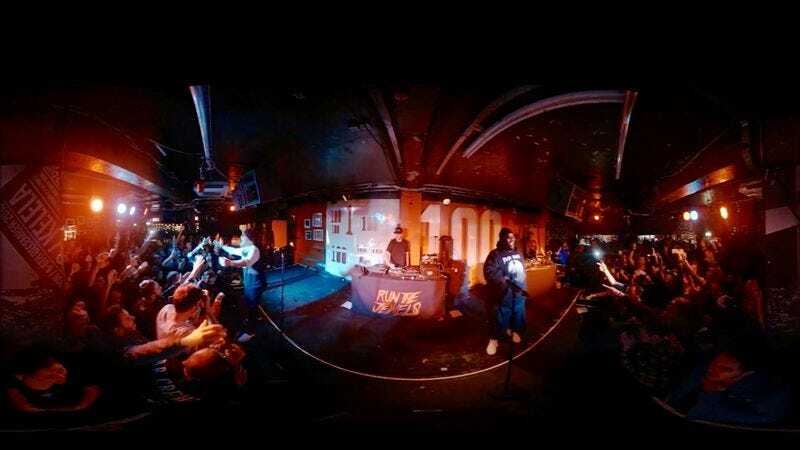 Filmed in the Boiler Room of London’s famed punk-rock hotbed the 100 Club, the video finds Run The Jewels sweating it out for an insane 55-minute set comprising mostly material off of their eponymous debut and sophomore records. With nary an angle missed, it’s an interesting and innovative way to catch a filmed performance.